Despite all his mopery and off-stage antics, Morrissey has created some incredibly danceable tunes. The former Smiths frontman may write lyrics about the doomed and the damned, but his beats are still enough to get a toe or two tapping. So much so that it even works when overlaid with the dance stylings of a classical comedy duo. Daniel Barassi has put together this mashup of Laurel & Hardy dancing to the Morrissey song “Hairdresser On Fire” from his debut 1988 album, Viva Hate. The footage comes from the Laurel & Hardy film Way Out West and matches up impressively well. It elevates the song and the dance number and makes for an almost melancholic combination that is at once wistful and also more joyous than people usually think of when picturing a Morrissey song. 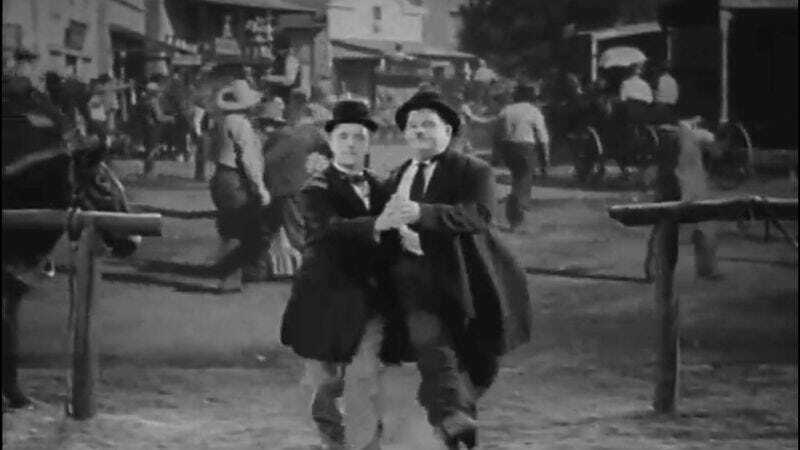 Laurel & Hardy Dancing To Morrissey from Daniel Barassi on Vimeo.